This section is for photos of any of the great 6 cylinder modifieds that were a big part of Kansas and Oklahoma. They pretty much died out in Kansas area by the mid 70's but were a big part of the Tulsa and Oklahoma City area tracks. 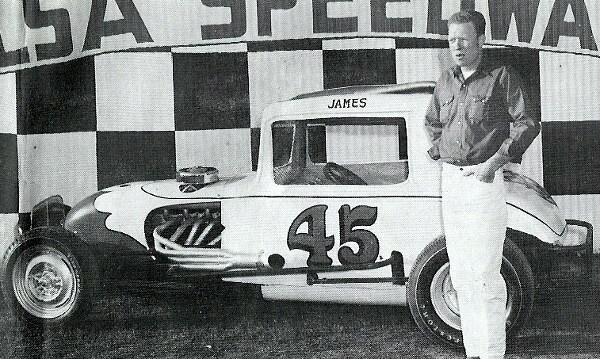 James Eubanks and the 1969 Championship Modified at Tulsa Speedway. The above picture is of my Dad Carroll Satterwhite from 1968. This is one of the last wide body sheet metal cars built in this region. I just got it running, like a clock and will post progress pics if anyone is interested. I'm stoked since it 'moved under its own power for the first time in 39 years, this past week! I can't stand the idea of it not running again. 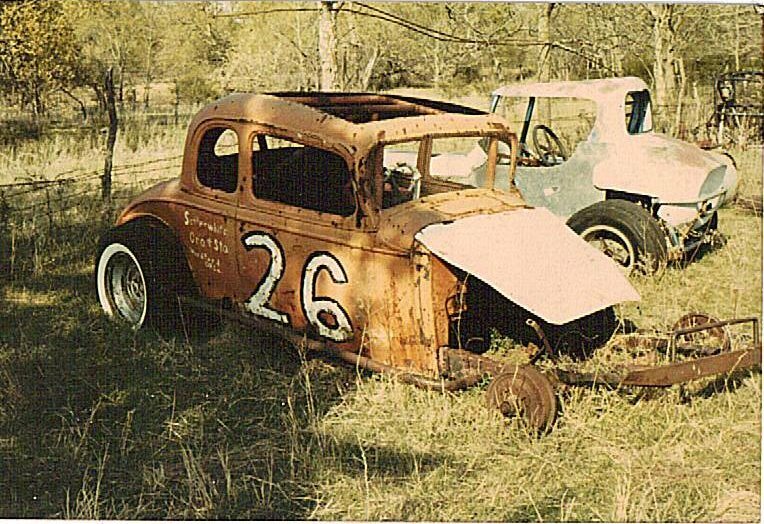 As far as we know, this car still holds an "unofficial" record at Lawton Speedway. After going off the track and thru a fence, my Dad limped his car back to the trailer. He noticed people would do a 'hop' just as he passed them going up pitroad. Being a young, married man with kids, things could get surreal at times in and out of the house as we all know. However, this was a bit peculiar. When he got out he saw the issue. He had snagged 50-100 feet of fenceline, posts and all, and drug it back to his spot! We are convinced none have drug more fence thru the pit area since that night. Brian, Hope you get it running and post some pics of your progress, Was at Lawton Sat. night taking in a Reg. Sat. show and you remember the pipe fench that surrounded the track up until 2 yrs. ago when he concreted the front and back stretch , well he left pipe fench along the ends of the straightaways and a mini stock went through the pipe fence at speed and it stopped it dead cold , just goes to show you that pipe fence at Lawton could withstand about anything , guess those 40 plus years have seasoned it up and made it stronger over the years. Just say this to that Lawton is only a shell of what it use to be , no cars in any of the classes 10-12 cars in each class last Sat. night, mediocre crowd count and dry/dusty track , can remember that track when 40 plus Supers , 35 plus Modifieds and 30 plus Hobby Stocks use to grace the place every Sat. night and you had to get there early to get a good seat because it was packed every Sat. night and the track was fast and tacky all night. Tell you one thing that was pretty cool sitting in the stands last Sat. , seeing all of the old timers at the track watching , just around my section ,seen Charles Yarbrough (Super Mod/Late Model), Junior Bruner (Mod/Super Mod) , George Thompson (Hobby Stock), Joe Moore Jr.(Super Mod), plus see people that still come out there some 3rd and 4th Generation and watch every Sat. night and have been going since the late 60's. Good luck on getting your Dad's car restored. JD, I went down to Lawton ASCS speedweek show a couple of weeks ago and while I was standing at fence I looked over and there stood LYNDON MOSS of Amarillo TX, I talked to him for a while we traveled a lot back in the mid 70's together and he was one of the great drivers that ran Lawton back in those days. I know a lot of people think that TULSA, WHICITA & OKC had the best drivers but LAWTON back in those days was plenty tough on and off the track. AJ LITTLE, JAMES SKINNER,GILBURT HUDSON,FREDDIE STREET, EUGENE HAIR,JL NASH, JOHN STEINETT, KEN SWEET, THE GUYS YOU MENTION ABOVE & MOSS were just a few of the weekly guys that ran there and it was a blast race hard beat the sh_t out of one another then go to the Wagon Wheel have a beer and shoot some pool. It's sure not like that now!!!! Moss,Lupi,Jack Davis myself and a couple others would start out a OKC on Friday go to LAWTON or TULSA on Saturday WHICITA or NCRA on Sunday and if it was a holiday weekend we ran somewhere on Monday, Hell I can remember MOSS AND I running the City on Friday,Lawton on Saturday, Hutch on Sunday, 81 on Sunday nite and Albaqurque on Monday night in Bahashi Hindi's car (Dion's Uncle). My how times have changed. DGM7620, Your correct , Never realized it till I got a little older but Lawton did produce some solid shoes around the Lawton area,I guess they never got the Publicity like Leep, Lies, Woodside, Madden, Carson and others from other states got, Heck even Wichita Falls had some good ones Bubs Fenner, Jerry Douglas,Doran Raine. Those Amarillo Guys were tough when they showed up to at Lawton, Kenny Stidd , Cody, Willingham, Jiggs Founds, Ron Glass and as you mentioned Moss. I remember seeing Lyndon Moss buy that orange #94 car at Lawton back in the 70's , was all of 13 yrs. old then kind of hanging around Bob Ewell then , getting in the way more than anything but trying to learn and watched him pay with a bunch of 100's on the trailer fender for that car, Hell that was the most money I had seen ever in one pile, guess I should have known then this sport only requires cash on hand to do it ,LOL. Anyway also have seen Jerry Bennet , Tony Layton which was Joe Moore Jr. teamate back in the 70's Lawton Brace and Limb race team at Lawton several times ,Other drivers I remember were Bobby Wainscott the Holiday Gulf car and Floyd Teague and Buster Daughtery , Heck Delbert Bybee from Apache in CH Malone Ford 6 cyl., Randall Busbee in the 22 6 cyl. car (he owns a Champ Sprint that runs at Lawton present time) and the list can go on. Back in the late 70's would bus down to the Bowl and watch Ewell on Fridays and then we would come up to Lawton on Sat. and then usually to an NCRA somewhere on Sundays. Times change and a 3 day race weekend might happen once in a while now, but not every weekend like back then from April to Sept. guess it is different era now. That's a shame about Lawton, but then it seems almost par for the course over the last 20 years, with the exception of a few bright spots. I remember a super going straight into that pipe fence and then OVER it. To this day I have no idea how he did it and then land on his wheels! Must have been a berm there. I hated to see the coca-cola sign go, and then the pipe fence. Change is bound to happen. The Wichita Falls reunions they had the last 2 years really got you in close to the ones that are left. Had I known who he was and that he was there, I could have met Wayne Cox. Freddie Street looks like he could still jump in a car and do some good today. James Skinner the same. Don't forget Steve Young. There could be a whole book done on the times at Lawton, and cool reading too if it was done. If memory serves me right that was 10 stacks of 10 100 dollar bills and that was for just the car, I think by the time in bought the rest of the stuff there were 13 stacks out there. That car was beautiful and it had a motor in it also I believe Cecil Apple or maybe Chet built that motor and it had those duel webers that were so popular with the kansas guys. Now that would be a neat set-up for a restorer to come up with. 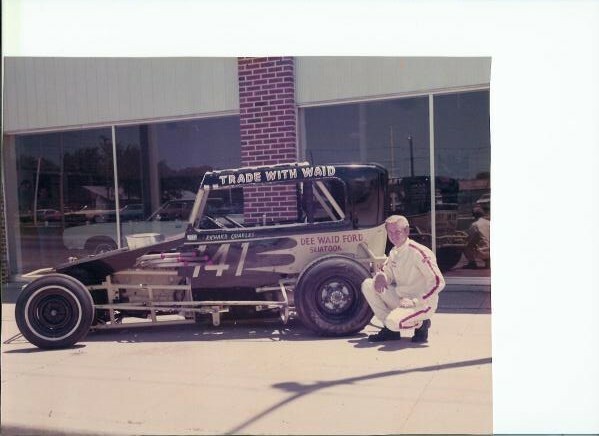 That had to be in '76 cause we ran the purple and silver 01 until then, I had broke 2 motors at the start of '76 and was out of money so Moss bought that #94 and we raced it, when I finally got my motor back together Charles Jarvis drove the 01 until I sold it to Butch Roberts. Kyle Willingham has said the #94 went back east to Indiana I believe? It was just setting at some salvage in Amarillo. The #94 is setting in a shop somewhere above Missouri I know. Just don't know where. Last I heard it was in about the same shape as it left Amarillo. Apparently big plans for the car, but unsure it has gotten off the ground yet. Thankfully the guy knows what he has, thus it might be safe until it is restored sometime. I was about 14 then and all I remember is it was a bunch of money on that trailer fender that night in the pit area at Lawton , I thought he bought car and trailer that night , but not real sure on the trailer, I do remember it being 01 and purple and silver. Heck last winter seen another guy who use to run a Champ Dirt at Lawton , Marty was his first name , had a Body Shop in Lawton back then, Brian you might remember him , spent a ton of money on the car, Cream Colored paint job #77 , had a top notch Nance car with all the good stuff then and I think he had a W.A. Gregory motor from Grandfield,Ok. for a while and then swithced after he grenaded it one night at Lawton , but struggled to run up front, heck Ewell was just dominating back then at Lawton in the mid 80's , anyway seen him this last winter in Lawton , not sure what he is doing now, but just recognized him while in Lawton. Always wondered what happened to Leslie Penn of Ada , helped Terry Courtney out some back in the 80's , guess he is still in Ada? Max Albright #750 of Chickasha I believe was a team mate of Joe Farley back in the 70's ? Might be wrong on that. Lots to wonder about LOL. 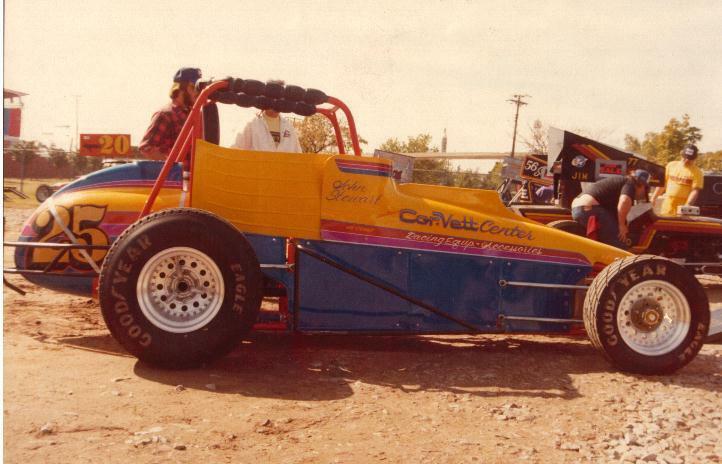 The 1st purple/silver 01 was a walker car purchased from John Hailey who had ran it as a 6 cyl modified at OKC,GOLDSBY,LAWTON and other area tracks, John had put a V-8 in it and tried it for awhile before selling it. We kept the car here in OKC most of the time and Charles,Jack & I kept it up. 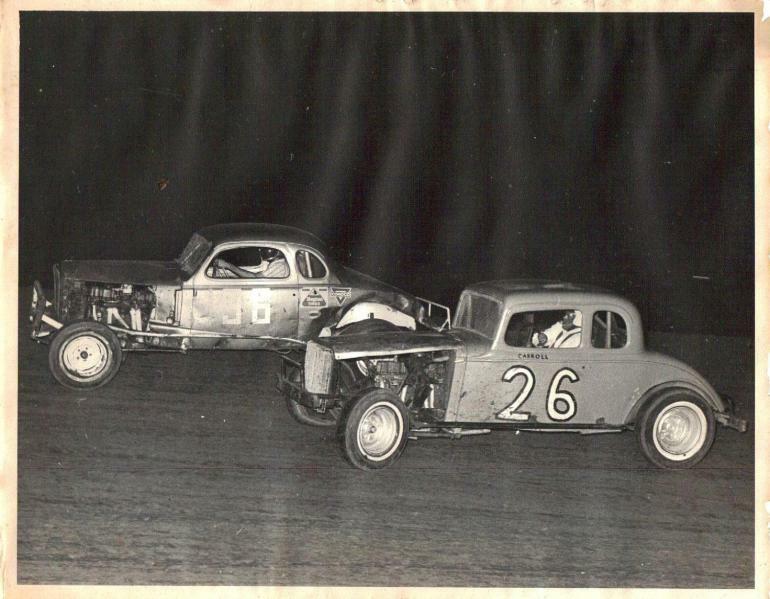 We raced alot that year and won alot of races, Ernest Goodson from Pauls Valley built the orginial motor it was a 327 sj crank in a 283 blk. We also had a motor from Richardson Mach. 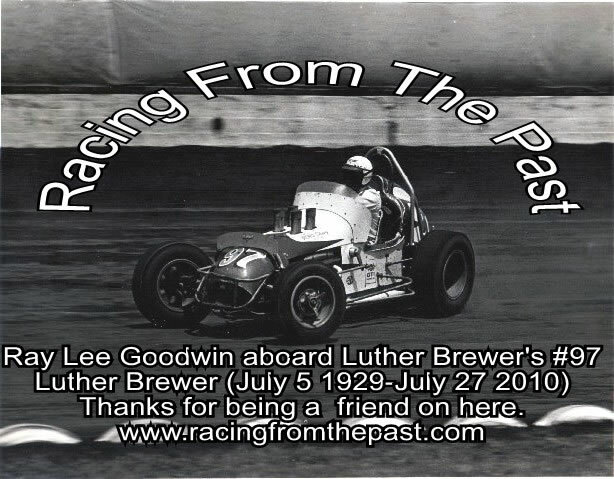 We won 2 50 lap races at Lawton that year pulled an 8.42 gear most of the time Ernie's old motor would really run. We had an old Ford Econoline Van that we towed with and on a trip to Amarillo for Labor day races the fire ex. 10# fell over and shorted out across the spare battery burning hole in ex. and blowing battery up. Jack was driving and looked up and that cloud of powder starting engulfing him driving down the highway at 65mph pretty quick we couldn't breath or see a damn thing. When he got us stopped people were stopping offering help thinking we were on fire which was the last thing that could have happened. 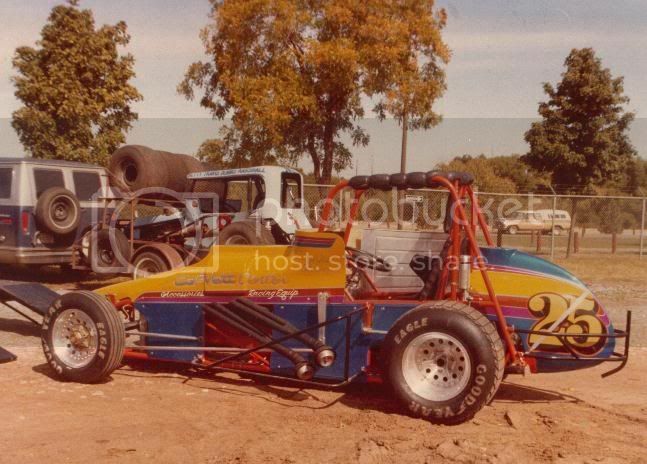 The 2nd 01 car was a car that I bought from LEEP Jr. it was the #2 Jelly car that he ran in '76 we ran OKC 1st and broke our new Richardson motor had Bob Brotherton build 1 and it made it a couple of nights and it broke. Which left me broke so Moss bought the #94 so we raced it in '77, the old man finally caved in and built me a motor and Charles drove the 01 a few times at the end of the year. Mr. Goodson built a lot of motors back then Owens and some of Modified guys from Ada too come to mind, I first met him when he was building motors for Jeff Abernathy when he was running at OKC on the 1/4 mile and running for the NCRA Super Mod title in 87 against Mike McClelland , his motors would make horsepower that was for sure. Ya know one thing I always wondered back then is that car that James McElreath ran back in the 70's Mouron #14 sponsored by Bill King BrakeO Stores in Dallas , ran mostly Dallas and would come up to some NCRA's I believe, always wondered if that was a Grant King car 96" Wheelbase or was it a Smiley's car out of Dallas or ? , Always wondered that when I see it in some pics I have of it back then. JD, Your kind of testing me now but I'm 96% sure that JIM built those cars for him and James I know that he built the McELREATH sprint cars of that same design and I believe he built a few USAC Champ cars that were of that same design, and if memory serves me right James NCRA cars were stretched USAC Champ cars, I know one time at the Bowl when I had 1st started going to races the old man was talking with Jim and they were discussing how Jim stretched the car to make it legal. 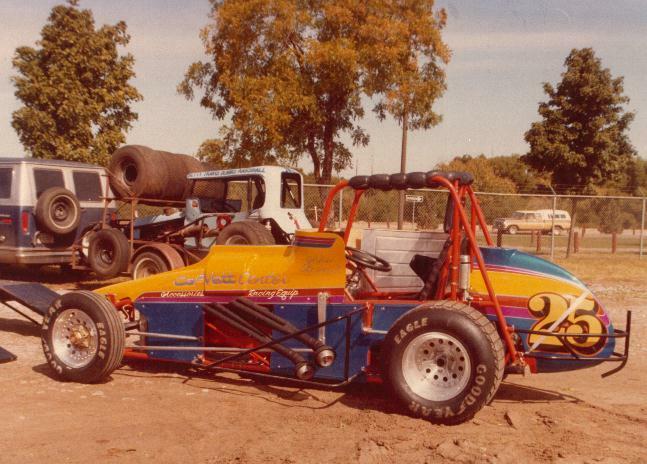 I know Scott had bought one of there sprint cars I believe the first one he had, Shane or Sandy could verify that. Those cars had a small squareish shaped cage and were very narrow even by those days standards, but the worked good dry or heavy. Ernest was a nice simple man he ran that old shop G&D I believe was the name of it and we would go down there if we needed the motor worked on, I used to see his youngest son at the races in OKC every now and then but haven't seen him in last couple of years. Ernest is who thought me how to run the valves on a motor, the old man didn't want me racing so I had to move around and do it other ways, which reminds me of a little story at Lawton in '76 at a NCRA race , during A-FEA. LEEP in the 76 was fighting for the lead with Ted Bacon, Moss was running a close 3rd in the old Walker built 01 they were in heavy traffic when a slow car got into LEEP causing him to half spin and Moss T-BONED him taking both of them out, well that old Walker car had .188 frame rails instead of std.120 rails so it was stout, anyway the old man was mad at me for at least a week cause it tore the 76 up and here I was helping Moss. I believe Ted went on to win that race. I thought Leep won Lawton in '76. Were there 2 NCRA shows or did I remember wrong? Jim built those cars for James. They were fairly popular in the USAC circles for a while too. If i'm not mistaken, wasn't Shady's super bent off of Jims plans? The yellow one?